living, working, learning and growing in Mallorca. !Â´m bringing up La Gidg (7) with my husband, whilst adopting far too many cats, running a business, and getting stuck into community life. 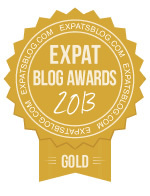 ExpatsBlog.com Expat Blog Awards 2013: Spain Gold Award! 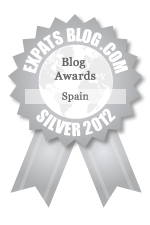 ExpatsBlog.com Expat Blog Awards 2012: Spain Silver Award! Great stories of life on an idyllic island about a small expat family and how it copes with life in a foreign country. Particularly enjoy the picture painted of living with locals and other ex pats, not usually seen on a 2 week holiday, and how the differences in culture and other adversities are overcome.. Keep it up..! Always interesting to hear tales from those brave enough to take the leap of faith and try another way of living. Keep it up. Living on the same island and a blogger myself I do love to hear what's happening down by the coast to La Gidg. Keep on blogging. Allways Look forward to reading about your everyday life Living and working in mallorca, keep up your good work. Thanks Vicki.....great article. Mallorca needs people in power that can see the full potential of this island. They need to realise that MAllorca is beautiful all the year round - not just a few weeks in the summer months!! i loooove the way you write and the stories you share! they are full of life, authentic and one seems to be there with you! go on with your great work!! Thank you so much for this wonderful blog. As an expatriate living on the island of Mallorca, you are able to provide some much needed insight and the behind-the-scenes kind of action that only an expat who has been "localized" could do. I look forward to what insights your future posts will bring! I always look to Vicki's blog for a lively, true picture of expat life in Mallorca. Excellent blog, very helpful and entertaining. Always a true reflection of life here - with the humour needed to ensure you want to find out whats happening with la Gidg & hubby in Vickis world!! As a ex-expat see the belly of a few different countries (France, Spain, Germany...and Hawaii the Blogs are spot on, humorous and very refreshing! Yeah LOVE Them! Great Job! Thanks for sharing, what a useful, informative and insightful blog. Look forward to new posts. I love your blogs Vicki. They are interesting, fun, intelligent ... and make me feel part of the family. A great addition to Majorca life. Moving house is one thing. Moving country, particularly to one where your language is not their language, is quite another. Vicki shares some great insights, funny stories and addresses some of the lesser known issues of living on an island that is known 'back home' as the place 18-25 year olds go to party. Always good to live vicariously through someone who has a far more interesting life than oneself! Always entertaining and portrays a younger and more down to earth version of what it is like living and raising a family in Mallorca. Excellent blog - a witty and accurate account of expat life! Always entertaining and makes me smile. Vicki's blog always rings true on life as an island of Mallorca ex-pat. Her charismatic personality, sensational humour and intellect pour through the words on the screen. Always a thoroughly brilliant read, please don't ever stop and I truly salute your dedication to doing it so well whilst juggling all your other balls. well done V, keep the stories coming! Always a good read - eloquently put, interesting and right on the mark. One of the best things in the paper! VMcL really hits on the subjects that expats want to read about. Goodstuff. Love the mix of humour and serious stuff, and indeed the humour in the serious stuff. Great writing! From one ex-pat to another, great writing, informative, amusing and current. Keep it going Vicki. Don,t know where you get the time to do everything but you have an adventurous spirit whch comes through into your writing. Onwards and upwards. Great blog which truly shows the every day life here on the beautiful Island of Mallorca. Keep up the good work Vicky. Intelligent, whitty, interesting. Always a pleasure to read. Keep writing. Always enjoy reading Vicki's Blog....Keep the great articles coming!!!! Hi Vicki You write so well and true to life. Fun, often thought provoking and always entertaining, I love reading your posts and articles. Keep up the good work. Registering my full on praise and appreciation for her warm, down to earth writing style, unfailing focus on community issues/Mallorca Matters (the clues in the name !!) which may otherwise go completely unnoticed and her continual efforts through her desire to do good to bring awareness and action to many topics that result in our community here in Mallorca an altogether more enriching one to be a part of. Vicki Â´get involvedÂ´ McLeod, your blog better win my girl !!! She's right about the cats. very funny, inspiring, original, loving, spontaneous! you are fab, Vicki! Thank you, we can always rely on you to come up with interesting and thought provoking articles about our beautiful island. Always entertaining and always hits the nail on the head! Keep them coming Vicki! Great blog...always look forward to reading. Great work!! Vicki is a living legend!! She writes from the heart and says what needs to be said! Makes ya smile, makes ya cry but always makes ya think! Keep up your great work Vickstar!! Thank you for the informative and witty banter ! Love reading Vicki's blogs. I get a real sense of her life and family in Mallorca. Evocative, pertinent and funny! Always a good read if you want to be informed on what is happening on our little island. Truly enjoyable read. Interesting, informative, amusing and easy to identify with, all at once. Bravo, Vicki! The articles are about REAL people well written! I always enjoy Vicki's writing, whether on her blog or in the local press. As a fellow blogger, I wish I had her following! Good luck, gal! I feel it is so important for the expat community to be informed.amused and interrested in this beautiful island!! The image of Mallorca is of Magaluf!! Which of course is so far from the truth!! A beautiful island with so much to offer which is why your blogging is so important to us and the visitor!!! Keep it up! And Thank you. Interesting, entertaining and always puts a smile on my face. As one mother bringing up a family here on this beautiful island to another all I can say Vicky is keep up the good work!! Real stories of real people living in Mallorca! Funny, down to earth and inspiring ! Always follow Vickys writings, live and work in the UK but my heart lies in Mallorca. Love your blog Vicki, keep up the good work! Awesome as always Vicki. A pleasure to read. Love reading thae blogs Vicky , excellent and entertaing stuff!!!!!!! Always brilliantly written and insightful. Great, really enjoyed reading your blog, made me smile a lot. Best blog on Mallorca by far...love reading what you write: always entertaining AND informative ...hurrah! Always a pleasure to read a blog written in proper English. So much content available on the web ignore basic rules of grammar. The fact that your articles are always enlightening and entertaining makes for compelling reading. Well done! As a professional journalist myself and a frequent visitor to Spain I have to say I really enjoy your blog. It is always entertaining and invokes the thrill of adventure that is ever present when a huge life choice, like yours, has been made. Well done and keep it up! Vicki does a great job bringing us up to date & creating the "Buzz" on the Island. A journalist 2nd to none. Awesome work McLeod...keep on making all those family matters matter! Great stories and well worth a read! Always worth reading, touching, constructive and taken from real life. brilliant!thanks vicki! Look forward to Vicki's blog every week!always a good read with a bit of craic added! Really enjoyed reading your blog, you say it the way it is! Family Matters is an informative up to date read on real life in Mallorca. Vicki writes with great energy insight and humour. A voice to be heard by a woman with her finger on the pulse of Island life. Well said Vicki, tell it like it is, thats what i call a blog from the heart! Keep up the good work. Vichy you are fantastic! !You have so many talents,your creative writing skills are 5 stars.wishing you the best of luck!! Always refreshing, candid and honest, a pleasure to read. Excellent stuff! Family matters is a truthful, informative and quite often hilarious blog about life here in Mallorca, a pleasure to read! No better place to get the real info on real people than Vicki's Blog. Always interesting, always covering a wide range of topics and always worth reading. Never miss Vicky's blog. Very informative with a lot of feeling which shows that she really knows the island. I love your blog Vicki. Fantastic!!! I love reading your blogs honey. Good luck and you deserve to win! This is a great Blog.....truthful, wise and warm hearted. Well done Vicki. Always an interesting read and always gets to the heart of the matter. I look forward to reading them. A true community feeling, which is so important when living abroad. Thank you for a great read and wander through the lives of the "extranieros"
As someone who works with a team based in Mallorca, this is a great way for me to keep up with what's going on, and get a feel for Mallorca life - keep up the great work, Vicki. Always a great read and insight into our little island. Vic's, great read and as always right on the pulse of things, thanks for the gentle reminder about the important things in life. Being one of the many "leapers" 30 years on the island and, never regretted a day...Love to read about others who share the Mqallorca experience with us!!! I always read the blog. Very entertaining indeed. A well written and interesting view on Christmas markets. Vicki writes as she speaks, with humour and honesty ! well done and keep up the great work ! Beautifully written and always thought-provoking. Excellent content and enjoyable reading. Great blog keeps us well informed on island life . Often extremely useful, and a real life and very amusing rendition of the 'Mallorca' experience! Always enjoy reading your thoughts here Vicki - amusing, well written and they always grab my attention. Well done for reminding everyone that Mallorca is still interesting even in winter! Really interesting blog, especially for us that live here and love to know what is going on. Really enjoy reading! Hard work and proper research make a good blog a description that fits Vicki perfectly. A Mallorcan reading it from UK. True joy! The best on the island. Love it! Thanks viki. Mallorca is awesome 365 days a year!!!! Vicki always has the ability to make me laugh... particularly at a teethgrindingwithfrustration situation or moment in the day. Bravo guapa and keep on blogging! always an amazing read! our students find it highly entertaining and informative. Brilliant. Keeps me in touch and in the loop of whats what and who`s who. Telling it like it is! Keep on blogging! The multi-talented Ms. Vicki McLeod's blog must be, without a shadow of a doubt, the most interesting & informative I've come across. She is a true professional in every sense of the word. Real Life stories, bringing people together - Vicki is a Star! Easy to read stories for anybody living an expatriate existence in Mallorca will be able to relate to! Honest and funny - great read, well done ! Frank speaking and thoroughly readable - a must! Well done Ms V - as I always say, you give everything you do your full attention and participation, you are a winner already! Vicki , your articles are great. Very interesting article Vicky, always enjoy your page. Vicki's writing is simply wonderful. She understands the need for expats to keep in touch and find out what's happening on this great island. Bravo always. Always entertaining and informative from somebody Who lives and loves the island of Mallorca. Good luck Vicki! Fun and informative. A good read, keep it up Vicky! Has a way with words that always gets you laughing!! A great read! Well done you! Love reading everthing that Vicky writes. I do think that she deserves to WIN the Expats in Spain Blog Award. Vicky's passion is abundant and in everything she does, her blog included! Well done Vicki! I am so proud to know you! Keep writing! I hope you win! Vicki has a great style of writing which is full of humour and is always a joy to read. She deserves to win. A brilliant blog by a perceptive, funny and original writer! Always a good read...a great reflection on real life in mallorca..
Love your blog!Always funny, sometimes outspoken! Hope you win! I love reading your daily goings on! They make n laugh n keeps me company with my cuppa! Keep up the good work. Keep up the good work really enjoy reading your blogs ! Super! And extremely well written (and I'm fussy)! Clever, witty, informative and fulfilling , always a great read. You're so versatile. It's a pleasure to know you. Go Vicki! All the best. Bxxx. I never miss it. Always good. Great blog, full of interesting facts and stories about life in Mallorca. Mallorca sounds beautiful place. I really want to be go there. Hope I will go there soon and enjoying this trip. Thanks for sharing.